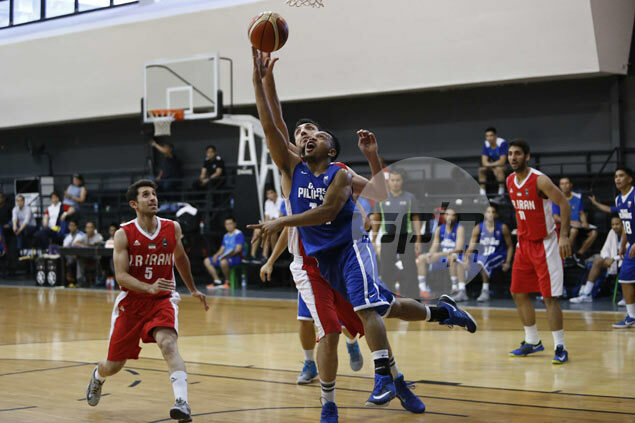 GILAS Pilipinas showed a glimpse of its potential on Tuesday when it hosted Iran in a tune-up game at the Hoops Center in Mandaluyong. Playing in their first tune-up match this year, the Filipino dribblers took on the Iranians in a glorified scrimmage where the scores were reset after each quarter. Gilas split the four quarters against its continental rivals, taking and dominating the first and third quarters, 21-13 and 17-16, respectively, while the Iranians took the second and fourth periods, 16-15 and 19-18. All but three of the 16 players in attendance played for Gilas, with Jeff Chan sidelined by a groin injury and cadet Kiefer Ravena and naturalized reserve Mo Tautuaa suiting up but not seeing action. Gilas faces the Iranians anew in the second of their tune-up games, this time an official one, on Wednesday night at the Smart-Araneta Coliseum. “I think we’ll be a little more settled, more focused on the game plan and the strategic issues that we’re trying to address right now,” Baldwin said. Asked to explain the reason behind the scores being reset, Baldwin said it was the agreement between both squads that are preparing for the Olympic Qualifying Tournament. If the scores were added up, Gilas would've won, 71-64.